We are beginning to think that Cardiff Carp fishing is one of the best kept secrets in in UK! It is true that 40lb fish are rare in Cardiff area but regular 30lb fish can be caught at multiple locations and then we have the fast growing jewel in the crown. Carp fishing in Cardiff Bay. Glamorgan Anglers Club are reporting that regular anglers in the Bay are catching personal best carp with a report of 30 lb being a recent catch. We all know that time and food are the recipe for big fish, what we may be overlooking though is temperature. Cardiff carp ponds probably produce larger fish that their counterparts in the valleys simply because it’s a bit warmer nearer the coast. So where can Cardiff carp be found? Well we have already mentioned one location, Cardiff Bay , cardiff carp fishing locations where fishing is permitted can be found on the map. Within a ten mile radius we can add 2 more. Cardiff Carp lakes do not come more central than Roath Park Lake. It is perhaps an unlikely spot for a spot of Cardiff carp fishing, and we are not talking about the Koi Carp in the conservatory!! The second is Lamby lake is situated off Lamby way and is home to some of the larger Cardiff carp, there are plenty of fish over 20lb and 30lb in there too. Fishing is not restricted to different types of carp but includes perch, tench and golden rudd with their stunning colours. Cardiff carp are fished for in swims these are well organised, a decent size and tidy. Fish populations are about 40 at 20lbs plus and at least 150 just under that weight. Mike Jones, Shop Manager putting a carp back into the water. 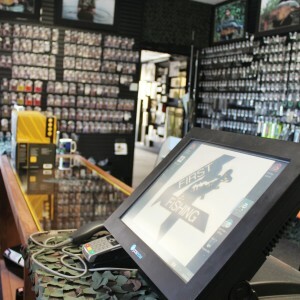 There are plenty of good tackle shops in Cardiff, offering excellent equipment and vigorous live bait and you all have your favourites but forgive us if we focus on a newly opened tackle shop that specialises in carp tackle. 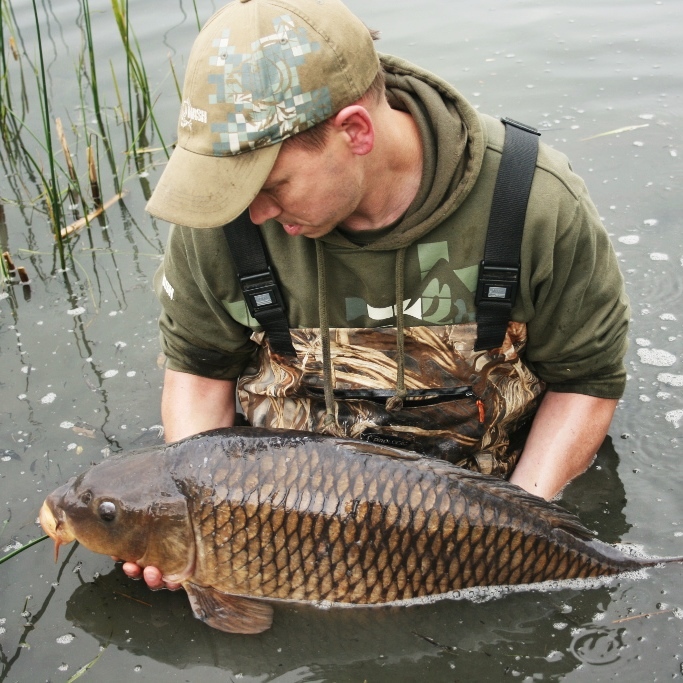 Cardiff carp are extremely well looked after, the care that goes into landing a big fish without damaging it is legendary within the sport but even recognised outside fishing circles. Situated off the A470 and close to the M4 the shop is located on the Taffs Well industrial estate, it’s close to ‘Travis Perkins’ an in the same building as ‘Cash 4 cars’ . Mike Jones and Simon Spinola offered a very friendly welcome and its layout was fantastically organised. the ranges offered are Taska and Nash, Mike is a consultant for Nash and has vast knowledge of Cardiff Carp scene. The business started 2006 however, the shop has only been in existence since May 2013. It has wider aims than just being a business though, as evidenced by its dedicated team of field testers, who fish in England and Wales, testing products and offering advice, only where wanted of course! The goal is to promote carp fishing in Wales through social media and personal contact, Mike is generous with his tips and advice and is available every weekend. So what products are popular at the moment? It turns out that the big new selling item is the Diamond Hook Files, made by Taska. But the shop stocks every imaginable accessory for carp fishing including carp mats to protect your catch on the bank. 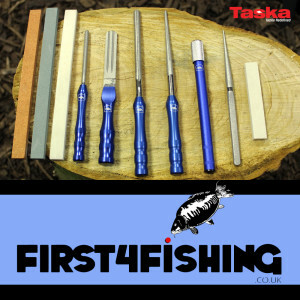 Taska Diamond Hook Files, A really big selling new item. So with 4 terrific locations to choose from in Cardiff to fish for Carp and a tackle shop to offer all the products and advice you could ask for. You have to ask what is stopping you from having a go. If you are a complete novice to fishing for Carp and need advice on the right kit to start with or if you want the latest tackle to land and return your monster fish to the water look no further than this page!